The exhibition called “InsideOut 4”, on at Mairangi Arts Centre on Auckland’s North Shore until 28 March, includes more than 130 artworks by women and men from Auckland and Northland prisons. It offers a positive experience where people from the community can see and appreciate the tangible results of art when it is used as a tool in the rehabilitation process of prisoners. I attended the opening of this exhibition on Saturday 9 March, along with Iona and Jacqui from Arts Access Aotearoa, Corrections staff, people from the local community and family of the prisoners. 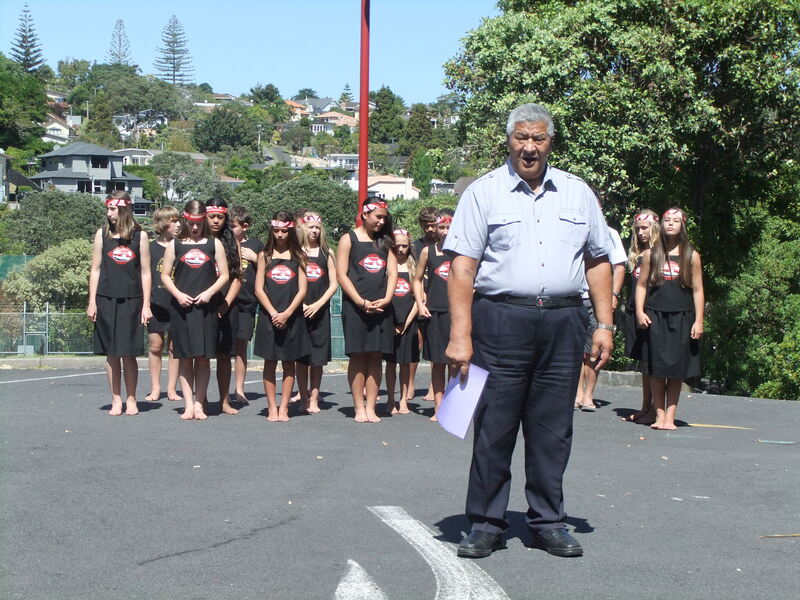 Des Ripi, Kaumātua of Corrections, welcomed visitors and blessed the art while pupils at Northcross Intermediate performed and sang waiata. Representing Auckland Council was Julia Parfitt, Chair of Hibiscus and Bays Local Board. As Julia said in her speech, a conversation with Des Ripi four years ago inspired this positive – and very productive – partnership between Corrections and the community. 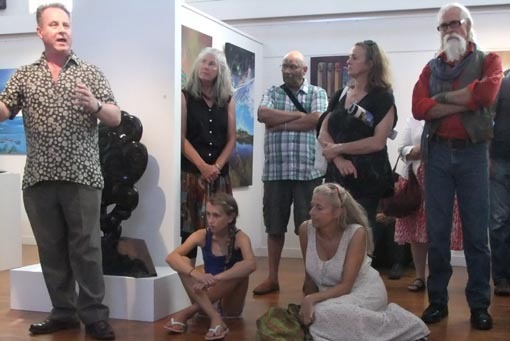 It’s a partnership that’s resulted in numerous carvings and paintings created by prisoners for schools, community buildings, the Orewa cycle and walkway – and this annual exhibition. In her speech Jeanette Burns, Regional Commissioner Northern, Corrections Services, talked about Corrections’ goal to reduce re-offending by 25 per cent by 2017. So what of the exhibition? Talent, colour and energy fill the spaces in the light and high-ceilinged gallery of Mairangi Arts Centre. The exhibition brings together work by a variety of prisoners. Some of them are self-taught and very good painters: for example, the painter of large portraits of Sir Edmund Hillary and Mother Teresa. Others are working with prison art tutors or studying through The Learning Connexion, and there are some fine examples of detailed graphite (pencil) drawings. 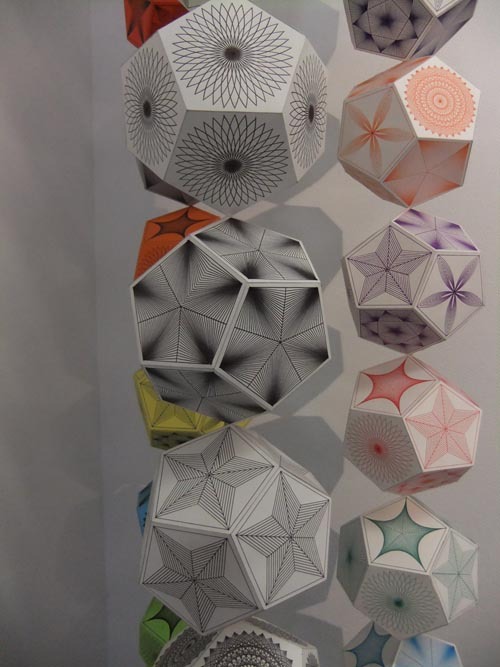 There’s also a wide range of whakairo (intricately carved wooden items) as well as ceramics and a very detailed geometric paper sculpture. Surprise items are well-made jackets with screen-printed designs. All up, 136 works on the walls and on display stands … But what lies behind the works? Two aspects come to mind. There’s the prisoner who has engaged with their art. This has meant embarking on a process of exploration through skill development, creativity and perseverance to complete something they can be proud of. Improved skills such as learning through collaborative interaction with others are also positive spin-offs. 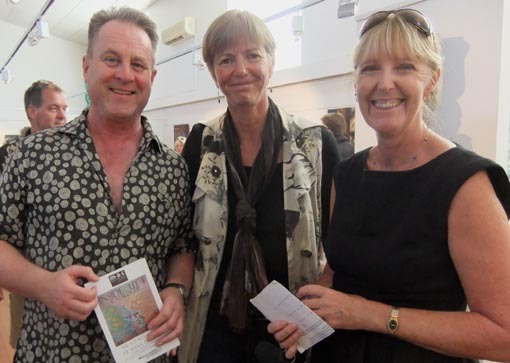 The other aspect behind the exhibition is provided by the staff who have enabled the art process to happen. We shouldn’t underestimate the value of the energy, thought and effort that goes into providing art programmes and projects in New Zealand’s prisons and correction facilities. It’s seldom easy. Staff involvement means escorts, materials and timetable management, the planning and resourcing of budgets, and liaison with tutors. I think it’s important to recognise these two aspects when we see such a great result as this exhibition. When we add to this the commitment of a respected community gallery (its staff and volunteers) to curate, promote and sell the works, things start to buzz. People from the community come and see the exhibition and we have another vital element: the essential link that engages people with what’s possible. Partnership with the community means more than just paintings on the walls looking good. Original generation time 1.6850 seconds. Cache Loaded in: 0.1608 seconds.